My favourite Bowie T-Shirt, from the the last time I saw him in 1990. In such an early song? “Like many of you, the world kind of tilted a little bit out of place yesterday when we turned on our phones and found out David Bowie had died, and it hasn’t really felt right since. Quite simply he was my favourite musical artist! I’ve been thinking about this a lot, and I’ve always wondered why, when people ask who your influences were and who you’ve grown up listening to, why for me it was never the Beatles, it was never the Stones, it was never Pink Floyd, all of those people … reflecting, it’s always been Bowie, he was the one person that I always absolutely loved, so many of my musical memories come courtesy of him … whenever anyone has asked me in the past who I would love to see play live again more than anybody in the world, it would always be, the answer would always be, Bowie. 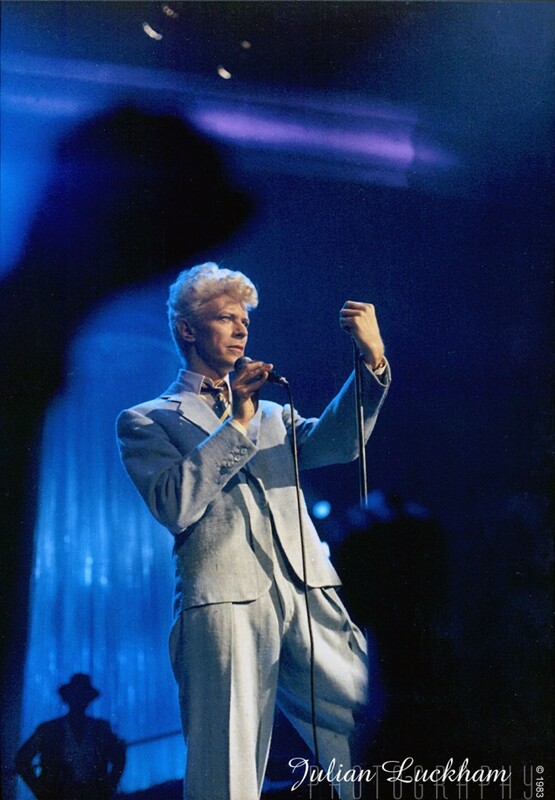 If people asked who I would want to interview, it was always Bowie, always….”. Jo Whiley, BBC Radio 2 – January 11th, 2016. Thanks Jo, I couldn’t have said it better, and thank you to everyone that has shared their thoughts both publicly and privately. I was surprised at all the messages and emails I received January 11th, I guess you all knew how hard this would be – thank you! It’s taken a while to put together my own words, I wanted to try to answer the questions I’ve been most asked, “Why the fascination?” and “What is it you love about David Bowie?”, and I had to add some photos to make all the reading a bit easier, and of course, there had to be a soundtrack, so I’ve added links where appropriate! So, here goes – you better take your protein pills, this is going to be long. 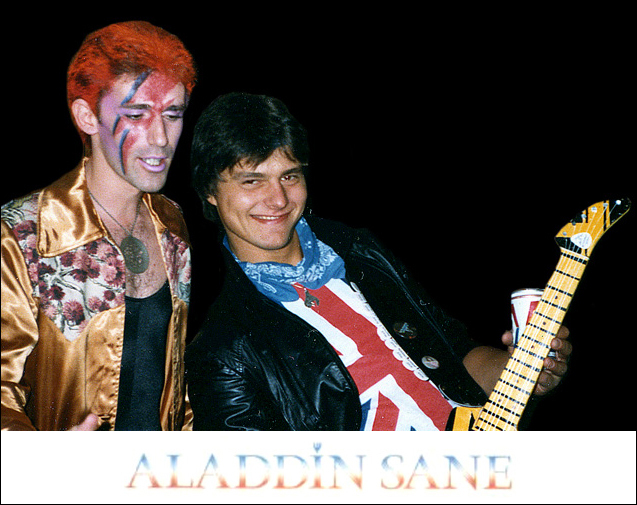 Early ’80s ‘Come as your favourite Celebrity’ Party, I went as David Bowie’s Aladdin Sane, my friend Mike Rosychuk went as Eddie VanHalen. My interpretation of this song is that Bowie was rebelling against the older generation, standing up for individuality and telling us –telling me– it’s okay to be different, it’s okay to do whatever you choose to do. Turn and face what you want to be, no matter what others say, they’ve already made their mistakes. Time may change who you are, but you can’t just follow, repeat or trace what others have done. For this song alone, I thank you David! David Bowie was the most creative and brave artist I’ve ever encountered, from his music to his acting in film and stage, from his videos to creating every detail of what he presented to the world, right up until the very end, he was the consummate creative, a visionary, an innovator and, most importantly, an instigator! He never seemed to be afraid to do anything, and yet, Bowie had said time and again that he never intended to become a rock star, as a teenager he wanted to write musicals, “What I really wanted to do, more than anything else, up until I was around 16, 17, was write musicals. That’s what I wanted to do more than anything else. I suppose I very nearly did with the Ziggy character”. Hang on to that thought, I’ll come back to it later. I was all of ten years old when I first heard David Bowie, so I’ve been a Bowie fan for almost 47 years! I don’t know anyone, outside of family, that’s been a constant in my life that long, and that’s why his death has been so hard on me, I lost a friend and mentor. Through David’s music, videos and films, and meeting some of the people in his inner circle, I feel as though I knew him, and it became personal after I met and spoke with him in 1987. But, I’m getting ahead of myself – it was 1969, I was ten years old and I was living in England. I was just beginning to develop my own tastes in music, some influenced by my Dad, early Fleetwood Mac and Ella Fitzgerald being two I really loved, but mostly from listening to BBC Radio One and the Thursday night ritual of watching Top of the Pops on BBC TV. TOTP was my first drug, and I couldn’t get enough of it! With the music scene what it was in the U.K. in those days, it was easy for the BBC to get live acts in to the studio every week. I remember in the late ’60s and early ’70s seeing many of my favourites like Status Quo, Deep Purple, Elton John, David Essex, Steve Harley & Cockney Rebel, T-Rex, and so many many more, and of course David Bowie! The Laughing Gnome, Love You till Tuesday and Space Oddity (1969) were my introduction to David Bowie. “Tomorrow belongs to those who can hear it coming” was a phrase Bowie coined for his 1977 album Heroes, but back in 1969 he was already listening to tomorrow when he wrote, and on July 11th released, Space Oddity, five days before Apollo 11 lifted off from Cape Kennedy carrying three astronauts to the moon. The song, about an astronaut lost in space, became Bowie’s first hit single, and being an avid follower of the Apollo Missions, it fired up my imagination. The first music I ever bought for myself was in 1972, Simon & Garfunkel, T-Rex and David Bowie’s Hunky Dory, which included one of my all time favourite Bowie songs – Life On Mars! The Boscombe Grand Theatre opened in 1895, in the ’60s and ’70s it was known as the Royal Arcade Ballrooms, this is where David Bowie/Ziggy Stardust played on August 31st, 1972. I was born in Boscombe, but was only 13 when Bowie played there, I wish I could have seen Ziggy on his first ever tour! 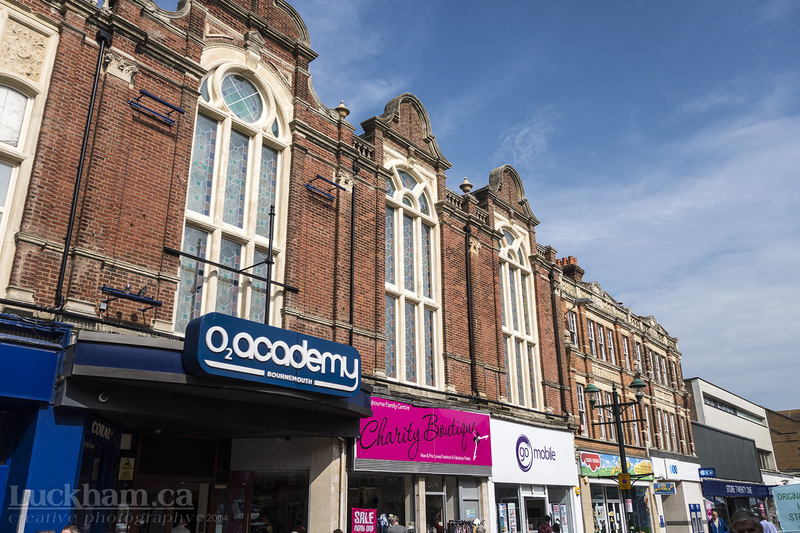 The theatre is now the O2 Academy Bournemouth. The ’70s had such an influence on me, it shaped me, this was the time when I came in to my own, I’d started to play with photography and was listening to music all the time. Anyone who knows me now can’t seem to describe me without mentioning a love for music and photography! I was picking up all the music magazines, for the articles AND the photos! I loved reading about all my favourite artists including David Bowie. My family travelled between England and Canada a lot in those days, I was pretty shy as it was, but when ‘home’ kept ch-ch-ch-changing it was even harder to make and keep friends, so it was easy to feel out of place, a stranger in a strange land. In Canada I was that British kid with long hair, platform boots, strange clothes, and an accent, and was always going on about music. In England, as I no longer had a British accent and was never in full school uniform, I was considered a rebel Yank. Bowie said he was painfully shy and withdrawn, he thought he was boring, and as a way to cope he created his characters from Major Tom to Ziggy Stardust, Aladdin Sane, Halloween Jack and The Thin White Duke, so he wouldn’t have to go on stage as himself. I guess I was a bit like Bowie then, but my characters were a music loving Brit and a rebel Yank, neither of which were boring! Bowie thought it was cool that his love for music was like a magnet for friends, being involved in the music industry meant he was privy to music that hadn’t been released yet, and he loved to be able to share it with his friends. I found the same thing, I loved talking to my friends about music – who was in what band, who was playing guitar on so and so’s album … “did you know that was Rick Wakeman on piano on Life on Mars”. I always remember Friday mornings at school in England, we were all talking about who was on Top of the Pops the night before, such good times. I think, had Bowie and I been the same age at the same school, we would have been good friends, listening to tunes, talking about music, but I would never have punched him in the eye! I loved David Bowie as one loves a very close friend and brother. A couple of old photos I took of my bedroom walls, this was only the part that was collaged, beyond this were the posters. As much as I loved Bowie in the ’70s, I never got to see him in concert until the ’80s. When Bowie went out on his first tour, the Ziggy Stardust Tour ’72-’73, I was living in the Bournemouth area in the south of England, a city he played four times that year. Had I wanted to go I’m sure 13 year old me would have been told to “think again”! I bought the Ziggy Stardust film/documentary when it eventually came out and God I wish I’d gone! The next time he came to a city I was living in was 1976 in Vancouver, the Station to Station or Thin White Duke Tour, as it became known, and I can’t think why I didn’t go, probably money as I was still at school. I did get my hands on a bootleg video tape (15 songs) of the rehearsals for the Vancouver show though, which, before the internet, was something very cool to find! One of my older brothers did go, I remember seeing some of the photos he shot, I was so jealous! 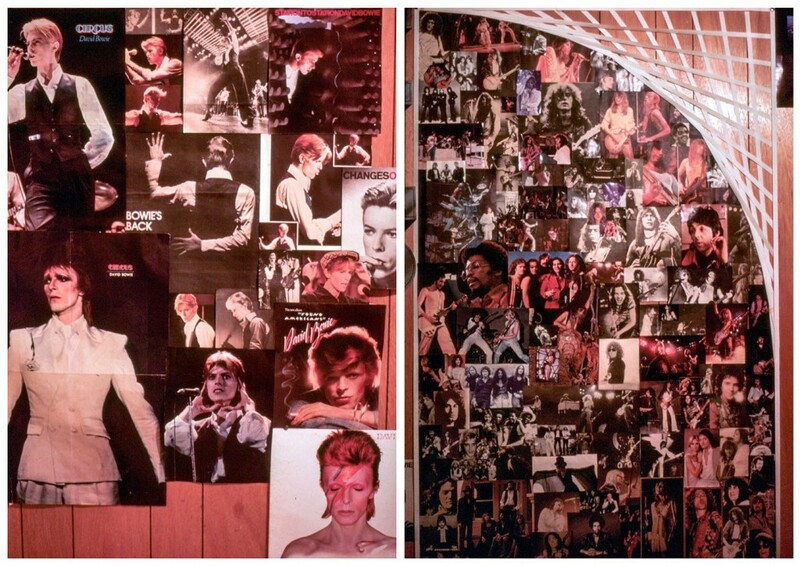 My bedroom walls were covered in photos and posters back then, mostly of Bowie, I’d use ticker tape to create borders and geometric patterns between and around collages of posters, band logos I’d redrawn, and photos clipped from Creem, Circus, New Music Express or Melody Maker magazines. It’s no surprise I ended up going in to graphic design, and it was all these photos that inspired me to start shooting concerts myself in 1977, one photo in particular, but more on that later – sorry, you are taking notes aren’t you! My earliest jobs were –wait for it– in camera shops and record stores, which just exacerbated my love for music and photography, but helped me get my first professional camera and build my collection of music. That’s when I decided I wanted to do something in the music industry, so I worked in the biggest record store in Vancouver (A&B Sound), did radio, worked as a live and studio sound engineer, and photographed a lot concerts. At the time I couldn’t imagine doing anything else, my love and appreciation for music and for what Bowie was doing increased. I now had access to recordings not available to the public, and shared them with my friends, like Bowie did. I’d get free tickets from the record labels, and I’d buy tickets when I couldn’t get free ones, so I went to a LOT of concerts, I’d even get backstage and meet the artists for some shows. Concerts were my newest drug, and this one was pure, and I quickly became addicted. If my friends and I weren’t at concerts, or in my basement listening to records, we were at parties, or at the pub listening to or talking about music. There was this one pub we used to go to that had a fake library on the wall, it was just the spines cut off of books, I’d pull one down and challenge my friends to read it aloud but make it make sense, like Burroughs/Bowie’s cut up method… I just remembered that!! I first saw David Bowie in concert in 1983, and I was sure that would be the year I’d meet him too. Well, it started off well enough, I met Mick Ronson, the guitarist from The Spiders from Mars, in January at a listening party for Bryan Adams’ Cuts Like a Knife album. Mick was in Vancouver producing The Payola$ Hammer on a Drum album. We chatted quite briefly, I think he was pleased that I didn’t start talking about Bowie, but instead asked about his own work. I was a big fan of his solo work (Play Don’t Worry, You and Me) and his producing, John Mellencamp once said “I owe Mick Ronson the hit song, Jack & Diane”, I still think Mick was one of the best guitarists in rock n roll, Ronson died of liver cancer, April 29th 1993 aged 46. Later that year, I was in London, England and decided to call up EMI, Bowie’s label. I told them I was visiting from Vancouver and worked in the music business, I dropped a few names and asked if Bowie might be doing any press for his new album in London while I was in town. I might have let it slip that Bowie released his Let’s Dance album in Canada on my birthday and I wanted to thank him personally. I was told “You didn’t hear this from me but, if you get here right away you might bump in to him”… I was out the door before you could say “Put on your red shoes”!! Sadly it was not meant to be, by the time I got there Bowie had already left. The woman in the office could tell how disappointed I was, she disappeared in to the back and returned with two promotional Safari Shirts with Bowie’s Logo, the EMI Logo, and the Let’s Dance dance steps on the back, she said David had just dropped them off on the way to a meeting… very cool, though Bowie handing them to me would have been a lot cooler. It was in August of ’83 that Bowie came to Vancouver touring his Let’s Dance album, and I finally got to see him play live. What a year for shows that was – David played August 8th at B.C. Place (the first artist to ever play Vancouver’s new ‘Dome’) to an audience of 54,000 with The Tubes and Peter Gabriel opening. I had floor tickets, no seats on the floor back in those days, needless to say I disappeared in the crowd at the front of the stage right away, and was eventually standing right at Bowie’s feet for most of the show. I noticed people who wanted out of the crowd were getting lifted out and whisked away under the stage, so towards the end of the show I decided that would be a good way to get closer and maybe even make my way backstage if I saw someone I knew, so I went up and over, getting me even closer and once I was over the barriers I looked up and saw Bowie looking right at me just as security grabbed me and shuffled me off to the side of the stage and –back out in to the audience– Damn! But what a fabulous experience! A couple of weeks later word came out that Bowie loved the Vancouver audience so much he was coming back to film a concert video over two shows in September! WOOT! I was very lucky to meet and talk with David Bowie, it was the highlight of my many years in the music business. ‘The Glass Spider Tour’ was extra special too, as Peter Frampton was Bowie’s guitarist for the tour, Peter and David used to be school friends and Peter’s Dad was David’s Art teacher. The opening acts on this tour were The Georgia Satellites and Duran Duran, Bowie always does his meet and greets before going on stage, so I missed seeing Duran Duran – I got over it! Meeting David was way too brief as I was part of a group of people, and we were all told there would be no time for photos or autographs!! Bowie, dressed in a red suit and excited about the show was very gracious, I remember my first thoughts were, “He’s so short, I’m taller than Bowie!”. 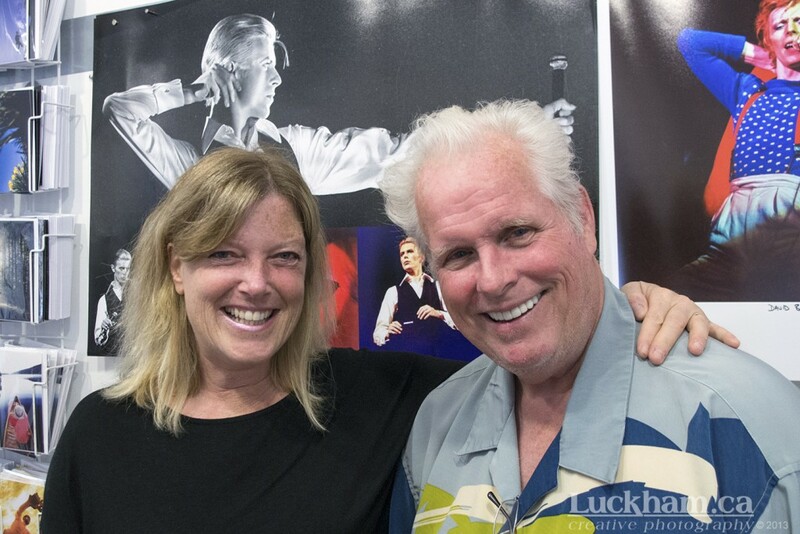 Meeting Bowie when I did was the right moment to meet my favourite artist without going all gaga in front of him, having met Mick Ronson four years earlier gave us some common ground and broke the ice, as soon as I mentioned Mick, David became quite animated like we were talking about a mutual friend, Bowie said “Ahhh – Mick is such a great producer!”. I honestly don’t recall everything that was said, I did ask for an autograph, he said he didn’t have a pen, but I did so he signed my program, he was so kind and down to earth just as I thought he would be. So what if my label contact told me I’ll never go backstage again – who’s left I’d want to meet!! I had already started working as a graphic designer at that point and was ready to go full time, so I did get out of the music business completely around that time. Funny enough, David Bowie started out as a Commercial Artist as well, working for a short while at an advertising firm in London, and he went on to design many of his own album covers, costumes, and even building set models for his shows… coincidence or more inspiration… it’s a funny ol’ world! Tour buttons – Serious Moonlight, Glass Spider and Sound + Vision – I used to collect buttons, still have quite a few! I did see David in concert one more time, The Sound & Vision Tour in 1990. This was a rather special show too, because it was the year I got to take my Mum and Dad to see David Bowie for the first time. 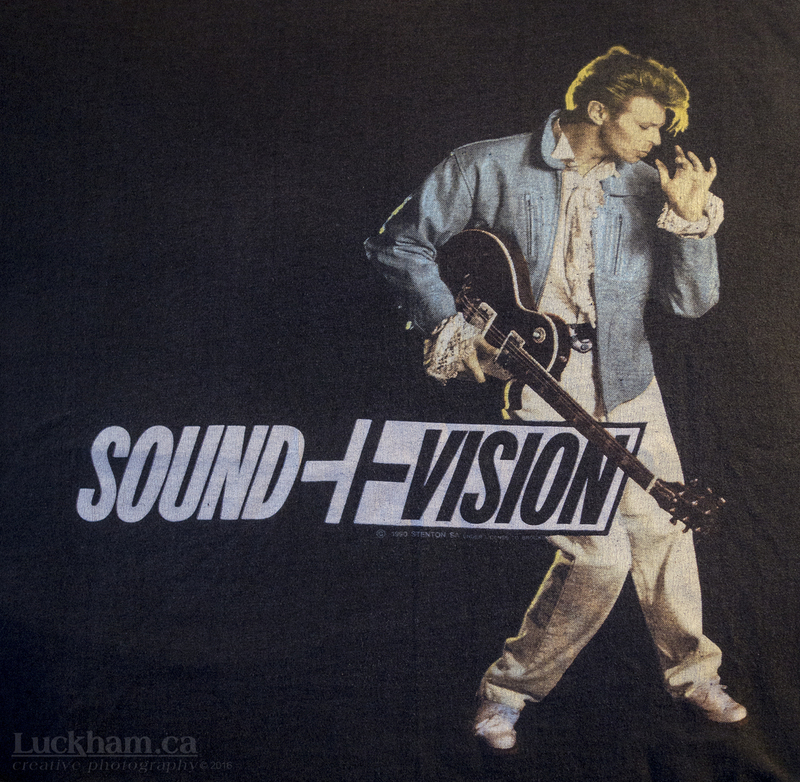 Sound & Vision was a ‘greatest hits tour’ and included La La La Human Steps from Montreal who appeared in a re-release of his song Fame, so it was the perfect show for them to see. My Mum and Dad had a great time, I had a great time, I wish I could have taken my camera, I wish I could have gone backstage! “Bowie would’ve liked me Mum and Dad!” I never got to see Bowie play live again after that, a lot of his tours never came to where I was living, the closest was Toronto or Montreal and they were at a time when I couldn’t afford the trip, the only time he did play where I was living was in 2004, The Reality Tour, but I was out of town on the other side of the country – twice! We were like ships passing in the night, I missed him in both Ottawa and Vancouver! I did buy the DVD of the tour though, so I have 5 different tours on DVD/VHS. I still wish I’d tried harder to see him though, I actually feel bad about that! Life seems to have gotten in the way, money, work, distance! But I’m still not done… go on, take another protein pill! I continued to buy Bowie’s albums when they came out and enjoyed each and every one to varying degrees. I went to the movies he made and kept track of what he was doing. David kind of disappeared after having a heart attack on stage in 2004 during his Reality Tour, most thought he’d retired, but he said later that he just wanted to spend time with his family at this point in his life, he had married super model Iman and they had a daughter together. He missed out on his son’s childhood and didn’t want to do that again. Fast forward to March, 2013 – David was back!! David released The Next Day his first album in 10 years that he’d recorded in secret and surprised everyone with, including his own record label! It was reviewed as one of his very best albums, to which I wholeheartedly agreed! And as though that wasn’t enough, the ‘David Bowie is’ Exhibit opened at the Victoria & Albert Museum in London England. The V&A was given unprecedented access to the David Bowie Archive for the first international retrospective of David Bowie. 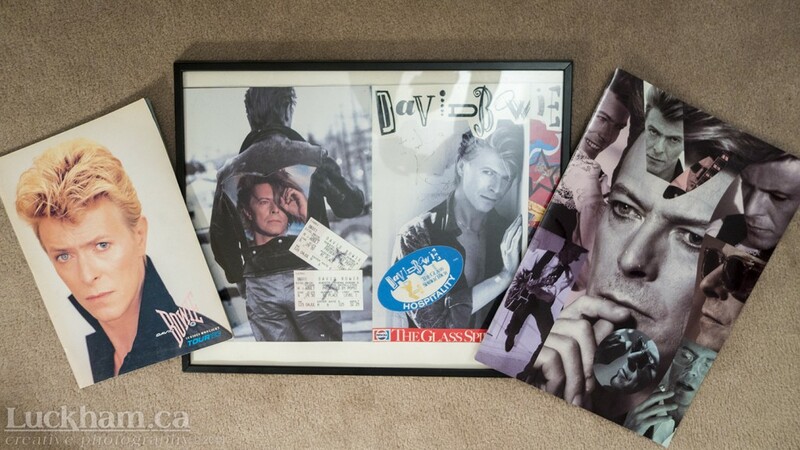 The exhibit featured more than 300 objects including handwritten lyrics, original costumes, fashion, photography, film, music videos, set designs and Bowie’s own instruments. I managed to get a ticket to the sold out exhibition and in April of 2013 I went to London to see the ‘David Bowie is’ Exhibit for my birthday. I was told to allow 2 hours to see the exhibit, I was there for 4 and still didn’t want to leave! I’ll never forget this huge room at the end of the exhibit with a cathedral high ceiling that hit me in a very powerful way. I’d just spent 4 hours walking through David Bowie’s entire life and walked out in to that big room in a bit of a daze, only to see David Bowie on stage, as large as life in front of me – they were playing footage from the Vancouver Serious Moonlight Tour I told you about earlier, the very show I went to, it was so surreal, almost overwhelming, I turned to people sitting near me and blurted out “I was at that very show in Vancouver!”, they all looked at me and smiled… they got it, they were feeling the same thing, we all just had an intimate visit with David Bowie and we needed time to collect ourselves! I so wished I could see it all again! The V&A decided to take the exhibit on tour after it did so well in London, so luckily I did get to go again, actually I saw it four times all together, April 17th 2013, London, England; October 21st 2014, Toronto, Ontario; November 6th 2014, Ottawa, Ontario (for the documentary ‘David Bowie is Happening Now: Exhibition Film’); and May 2nd 2015, Paris, France. Seeing the show in London, England was by far the best as the exhibition was designed for the V&A Museum, Toronto and Paris were both great to see but felt like a square peg in a round hole. I’m glad I got to see it again though, and glad I got to take Caitlin to see it in Paris. 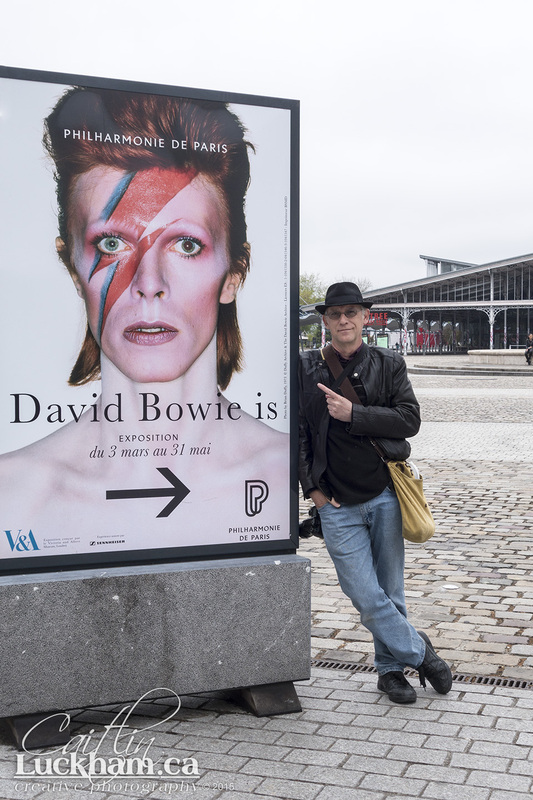 I’ve posted a whole bunch of photos taken at all three exhibits, take a look when you’re done here – The ‘David Bowie is’ Exhibit London, Toronto, Paris. Shortly after seeing the ‘David Bowie is’ Exhibit in London, I met John Rowlands the photographer who shot ‘The Archer’, David Bowie’s favourite photo of himself and the one that was the lead photo for the ‘David Bowie is’ Exhibit around the world. This was the photo I mentioned earlier, the one I had on my wall that inspired me to want to shoot concerts myself. It turned out John is from Ottawa, and he is now a very good friend. I guess I can thank David for that too! We all pretty much know most of what has happened over the past few months, losing David too soon was very sad, and difficult. But, I want to share the one thing that happened that I think is extra special – make sure you have a kleenex! Remember what I said about Bowie wanting to write musicals, well, in the end he did. Three years ago Bowie began writing his first musical ‘Lazarus’, a sequel to ‘The Man Who Fell to Earth’ the movie Bowie starred in back in 1976, based on the 1963 novel of the same name by Walter Tevis. The musical was written with Irish playwright Enda Walsh. ‘Lazarus’ continued the story of Thomas Jerome Newton, an alien who had come to Earth in search of water to save his home planet, now played by Michael C. Hall, of Dexter, and Six Feet Under. Newton is now stranded on Earth and has locked himself away from the world, drinking gin and watching TV, tormented by his past calling himself “a dying man who can’t die”. In the story an apparition of a 13 year old girl comes to him, playing Jesus to his Lazarus. Is it coincidence that this character is the same age Bowie’s daughter was when he wrote it? 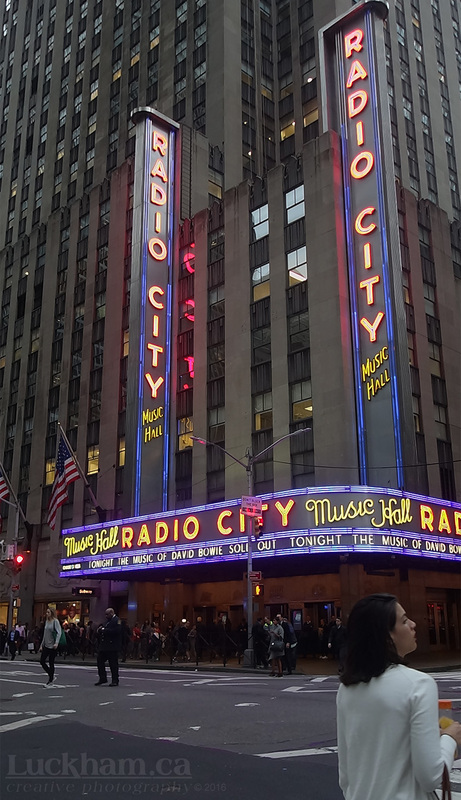 ‘Lazarus’ ran from November 18, 2015 to January 19, 2016 in New York City, the show included some of Bowie’s biggest hits, such as Changes, Heroes, Absolute Beginners and Life on Mars as well as new songs including Lazarus, sung by Michael Hall, which Bowie also recorded himself for his last album, Blackstar. During the ‘Lazarus’ rehearsals that Bowie was well enough to attend he heard his songs being sung back to him for the first time, and according to James Nicola, artistic director of the New York Theatre Workshop that produced the show, Bowie took great pleasure in watching ‘Lazarus’ take shape. “What I always saw in him was the face of a delighted and amazed child, who was seeing something come to life that was unexpected and joyful.” Now, keep in mind some of what Bowie said of his song Changes, “it started out as a parody of a nightclub song, a kind of throwaway”, and on another occasion he said “it turned into this monster that nobody would stop asking for at concerts: ‘Dye-vid, Dye-vid – do Changes!’ I had no idea it would become such a popular thing”. At one of the ‘Lazarus’ rehearsals co-star Cristin Militia, of How I Met Your Mother and Fargo, performed a dark angst-ridden version of Changes, Bowie smiled. “I’m so glad I wrote that song”, he said. Yes, hearing this story made me cry, and I cried again when I just typed it now. Hearing this gave me a kind of solace, knowing that Bowie had accomplished something before he died that he’d always wanted to do, and he got to see the finished work. 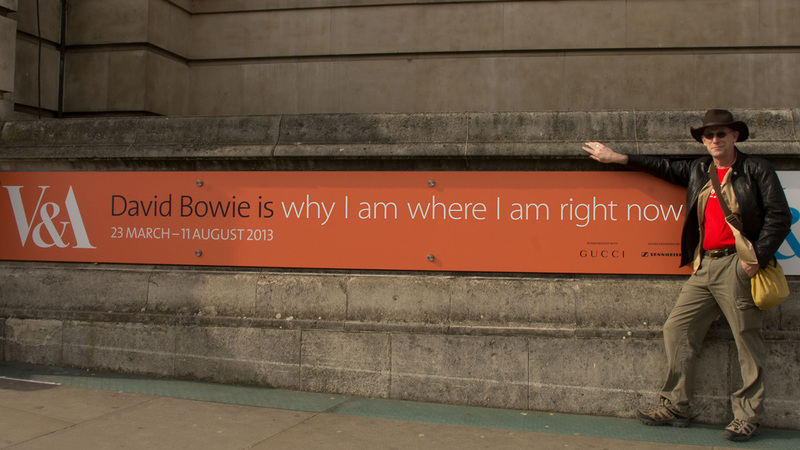 I can’t think of a single image that means more to me in regards to David Bowie than this one… outside the ‘David Bowie is’ Exhibition in London, England the day before my birthday in 2013. I changed the text on the sign to be about my being there, no one knew I was in the U.K., so everyone thought this was an illusion I’d created. In the end, the text reads so very true. Leave no stone unturned, no poem, song or story unwritten, no photograph untaken, no book unpublished, no film unmade, no words unsaid! Our time here is finite, but our deeds and accomplishments are not… move forward as though there’s no tomorrow and leave behind a testament to what it is YOU are passionate about. Leave behind the beauty in what you do, and what you WANT to do, it could mean the world to someone, it could change someone’s life, it could be the solace someone seeks… and it might make you smile! And when the time comes, go out with as much creativity as you can muster! R.I.P. David Bowie January 8, 1947 – January 10, 2016. Thank you for how YOU changed US, and thank you for everything you’ve given us! Love on ya!